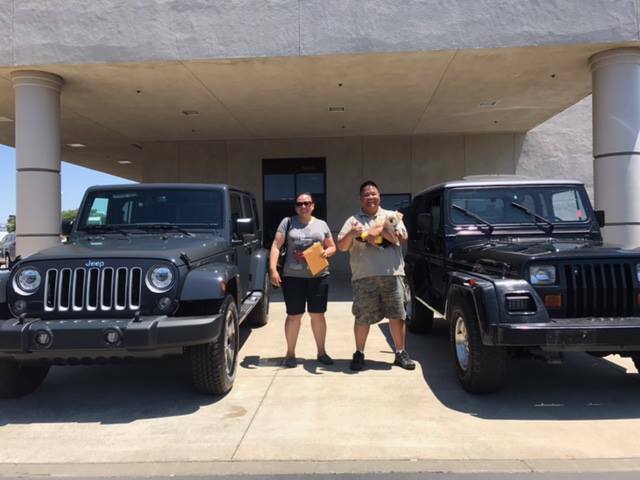 Thank you Jacob, Sech, Carlos and Jerry; we LOVE our new 2017 Jeep Wrangler Unlimited, please take care of our 1994 Jeep Wrangler Renegade, we have 23 years of fond memories traveling in it. We give your team a 10 score on negotiation because we were able to do this on the phone and through texting; coming in to pick it up took less of our time and your team was very friendly. Thank you for the GREAT deal. -Roland, Grace and Micro (Dog).